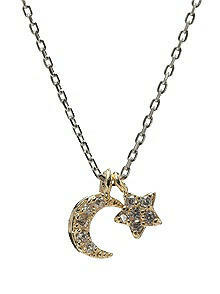 Precious Moon and Star necklace on adjustable 16" and 18" chain. 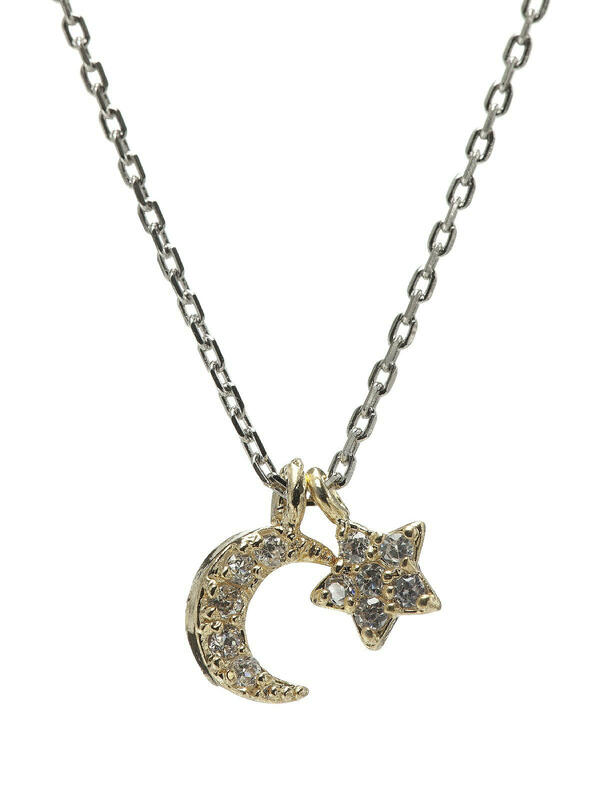 Gold plated charms are accented with sparkling cubic zirconia pave. Sterling silver chain.